After playing multiplayer for a period of time (random), the game will go into extremely low framerate and become unplayable until a restart. Experience same issue in 1.62 APEX on Tanoa. are you experiencing same issues on other servers (for example ones that are not Invade and Annex)? Did you try to verify integrity of your game cache? I did a verify integrity and it showed no issues. I don't play except on that one server. I think others have reported the same problem so this might be a duplicate to be merged with another bug report. If it's not much trouble, please try to find out what the situation is when playing on different servers, perhaps the official ones or some other servers, preferably the ones that do not require mods. So a plan to deal with this is in the progress, there's something I need you to do so we can progress further. Go into "Arma 3" directory in Steam and rename "arma3profiling.exe" to "arma3.exe" (Launcher and BattlEye are expecting that one). Launch game and start playing. Should a dialogue stating it was successful appear, select "COPY ALL" (third button at the bottom row). Once you have that file, please upload it here (or, if you encounter any trouble with that, to some free file sharing service and post the link here). Also please make sure to perform the cheat "frame" only once the FPS drops and freezing happen. From a crash today. Interesting is that after I did a COPY ALL, the game engine recovered and I was able to force a respawn to go back into a usable game. This happened without quitting the game and rejoining as I normally have to do. Another crash report from the FRAME command. These are the system status details from the CRASH2 incident (Sun Jul 17 @ 9:19am). Note the large RAM and pagefile usage. RAM is usually just below 3GB and pagefile less than 5GB. FPS falls always, when Memory=3000-3500 mb. I don't find other reason of this regularity. Arma3 doesn't work with large volume of Memory, its limit of 3000-3500 mb. After that, Arma3 can't address to the RAM, there is no record and data reading. The following step - a mistake in any block, and crash of process of arma3.exe. Time of life of process of arma3.exe depends on what time process will spend on achievement of the size Memory of 3000-3500 mb. Not important how many memory you use in PC. Any size MaxMEM doesn't influence, process of arma3.exe takes only 3000-3500 mb. I when used arma3client_performance from Dwarden had the best result. On the stable server it gives +10-20 minutes to process life. The size Memory in process I reached 3450mb. This is a crash that recovered when I did FRAME. This is not a crash and was performed IMMEDIATELY after the ARMACRASH6 capture and the game had recovered. After another couple of minutes, my screen went black and I could not use the FRAME capture process. Other players reported that I disconnected with a "Battleye not responding error". All the captures in the previous comment were during the same game session and on the same server within just a few minutes of each other. Hello, I'm experiencing the same problem as OP. 5fps/LOD after some amount of time, depends on which texture quality I'm using. If ultra - 30 minutes until drop, standard - 1.5h until drop also. I want to note that I din't have any problems before 1.58 patch and also my framerate was higher than now. But profilling branch fixed that issue going from avg. 20-30 fps to 30-50 fps. Also with profilling branch it feels much smoother (no micro stutters). Drop occurs on every type of gamemode and different servers: Invade and Annex, Altis Life, King Of The Hill. Profilling branch does not fix this issue, it only improves framerate. Frame does not recover my arma to original state. Edit: Setting textures on whatever settings is not relevant to this case. Found this by setting out ultra and actually I was able to play longer. This is another arma report, without frame. thank you for the feedback you have provided in this matter. As progress in this case is moving forward, we are trying to pinpoint the cause, which unfortunately means yet another intel gathering. A new profiling was published, rev. 137737, that will help us get more precise info about the issue. Once you have those, ZIP them and attach them here again. One frame will do, more of them are very welcome (please make sure to have corresponding rpt as well). Updated to v7 of the profiling branch. Crash was a black screen and 0 fps reading. Memory went to about 8GB steadily (3.2GB used after closing the crashed Arma3.exe). COULD NOT USE THE FRAME CAPTURE PROCEDURE. It did not respond to the steps of LSHIFT+NUM MINUS FRAME. Another crash but FRAME capture process did not work. Just started the game and joined the Tanoa server. No crash. After playing for a few minutes. No crash. Post crash and the engine recovered. Had the same kind of issue on 2016 July 18 and got an "Out of memory" error while playing a "Liberation" valilla mission on our dedicated clan server [Linux]. Gaming rig "i7-4790/GTX770/16Go @ 1866MHz/SSD Samsung 500". Believe it was something wrong with my rig before I had seen SITREP report. As I had clean all files, while looking for an on-board failure, the only hints left are screenshots. Alright I have bunch of information for you devs. Here are reports. Whole process is done with latest profilling branch version (v10). Whatever is causing this bug, the bug can be mitigated by using the HALO drop scripting. Frame rates will return to normal. Now whether the game was stable for hours afterwards, I do not know as this occurred either during RC testing, or just before. If I'm not mistaken, this bug started occurring sometime within the past release prior to 1.62. The bug was so random and so rare initially, and still is rare, it's difficult to wrap one's head around the bug. 2016.07.29 00:08 UTC: Scanning through the above previous comments, I noticed somebody stating a "COPY ALL" mysteriously alleviated the bug. Could be with all the keyboard activity, we're somehow triggering a copy/paste event within the 3D world, but think this scenario could only occur within the Editor. Shrugs. Played with v15 of the Profiling 1.62 binary. No crash experienced, even after a couple of hours. Here are two sessions of FRAME captures. @focher Could you please try and find also corresponding RPT files? This is v15 of performance branch. Without crash played 3h. I added them back into the original comment. Meant to include them the first time! I have the same issue in the last week. Here is dumpfile, rpt and minidump. I must note, I have not seen this bug present itself upon NAK's Tanoa's server after many hours of game play! As such I have to reasonably speculate this bug is being exhibited by the use of scripts within the many scripts of the map scenario files. However on another very popular Tanoa server, the bug is very persistent and makes itself known quite reliably every hour or so. Knowing how hostile server administrators get sometimes, maybe they're exploiting a known bug, inherently causing this bug. So best advice or workaround is likely to use another server. I don't know about NAK's Altis server as I haven't been on there for awhile. I've also been using ARMA without any modifications for a couple of months now, and the bug persists with or without modifications. Hopefully the following information will help: When I alt tab out and back in, it usually helps to recover normal FPS. I had the bug happen to me multiple times. I switched to the Windows allocator "system" via the launcher's Parameter "memory allocator" option. It never happened in the last months since the switch now. I run Win10 64bit with an i5, hope it helps a little. This comment was removed by TheBattleLegend. One important question for you guys. Did someone who is experiencing this issue got similar issue when playing with disabled BE ? 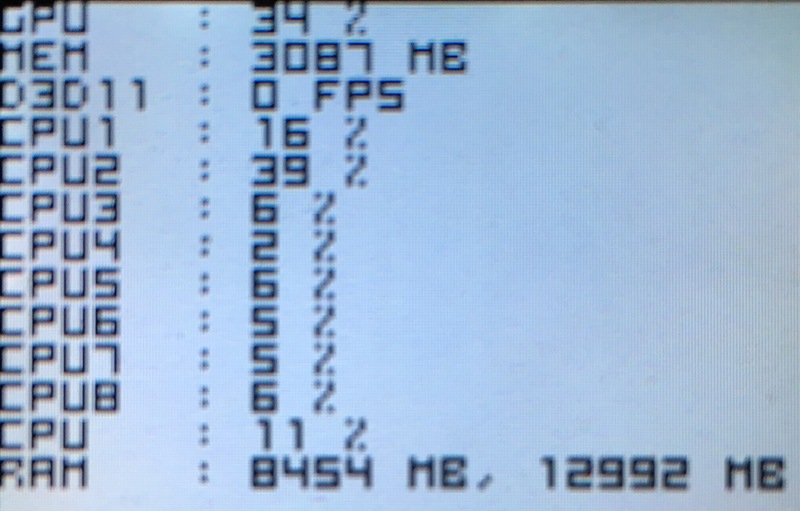 Today, at the beginning of the game the FPS was 90, after 2-3 hours was 3 FPS. @razazel Disconnected battleye, Nobody plays Arma3 without battleye. Here's my experience of this issue. I've never connected to an online server. I always play Arma3 in coop play with small group of friends. I am always the host/server, server is run as internet server and 3-5 friends connect to me. I can nearly always play for about 1-2 hours before I experience the issue. I have i7 6700k OC at 4.6ghz 16GB Ram and GTX 1080. I'm normally running 50-70 fps and then suddenly (perhaps when zooming, like its struggling to read graphics data quick enough) the fps will drop to 3-5 fps. Now here's the thing, thinking this might be a graphics streaming issue, I wait to see if game recovers, and if I wait about 3-5 mins, the game does indeed recover and fps returns to normal, however this is only ever for a limited time and sure enough the problem re-appears in under 30 mins and this time is very unlikely to recover. I have had it recover once or twice after 2nd fps drop but usually by the 2nd time, I'm stuck with 3-5 fps and it never recovers. This has become so I cannot game in Arma3 ever for more than 2 hours without this issue happening. I've had this happen with and without mods but now I know there is a concerted effort to track and crush this bug I will report back with more detailed information the next time it happens. We've fixed (at least) one major cause of the "3 FPS issue" or running out of memory in the 1.90 patch. Have you still been experiencing the issue lately? Map scenario makers probably should be integrating a simple if/then routine, if "less than five people on a server" then "reduce AI skill level" to something within the whelm of sane intelligence levels.